You can now use the Amazon EC2 Spot Bid Advisor to help you determine an Amazon EC2 Spot instance bid price that suits your needs. 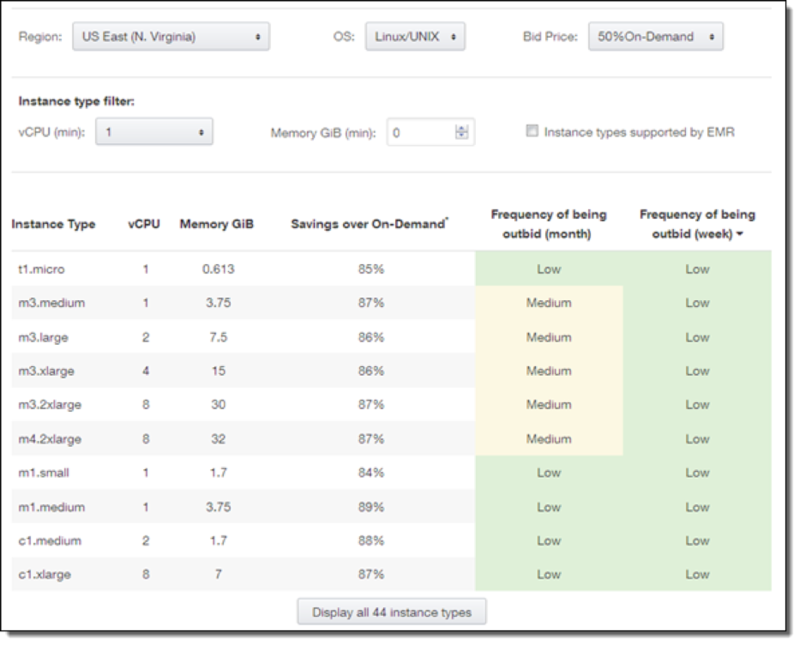 Since Spot instances are spare Amazon EC2 capacity with prices that vary as demand fluctuates, choosing your bid price carefully can help you get the compute capacity your applications need, while meeting your budget and availability requirements. Learn more about Spot instances. To get started, visit the Spot Bid Advisor and select an AWS region, Operating System (OS), and bid price (choose 25%, 50%, or 100% of the current On-Demand price). The Spot Bid Advisor will analyze the Spot price history for matching instance types over the past week and month, and show you how often your selected bid price did not clear the Spot price. A higher frequency indicates a higher likelihood you would have been outbid during that time. Therefore, the lower your frequency of being outbid, the longer your Spot instances are likely to run without interruption. To learn more best practices for selecting an Amazon EC2 Spot bid price, visit the read the AWS Blog post on “Building Price aware applications”.